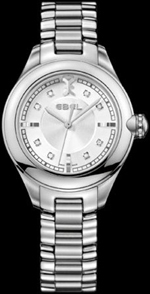 Ebel Company has released new product – women’s watches Onde (REF: 1216092) presented in 30 – mm steel case with alternating brushed and polished surfaces. Compared to previous models, the new product is characterized by clean lines and luxurious curves. Bracelet of branded wavy links the design of the clock. 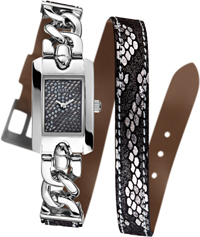 Known company Guess, founded in 1981 by brothers Marcion, presents new female models. New items and W0053L1 W0053L6, sleek design includes a collection Trend. 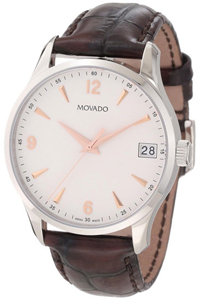 The watch company Movado, founded in 1881, presents its new Movado Circa, made in classic style. Due to its design, the new product will be an indispensable addition to any image of its owner. 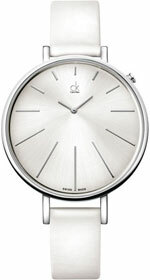 Another novelty from Calvin Klein, presented at the annual international exhibition hours BaselWorld 2012, differs a clear simplicity that will surely please those who prefer an easy elegance. New watches Equal, as noted by the company, inspired the creation of classical clarity of vintage watches. Local house Salvatore Ferragamo has announced the launch of a new line of Renaissance with amazingly beautiful and unusual buildings. Gevril watch company has pleased his fans the release of new models of men’s wrist watches 5110 Avenue of Americas with an elegant housing made of pink gold. All brand Ball delighted fans watch novelties Trainmaster Eternity with a thin shell. Infinite minimalism dressed with elegance and conciseness, is displayed on the face of new items, made in two versions: silver and blue.